Los Angeles-based MC Blu probably should have been a star. 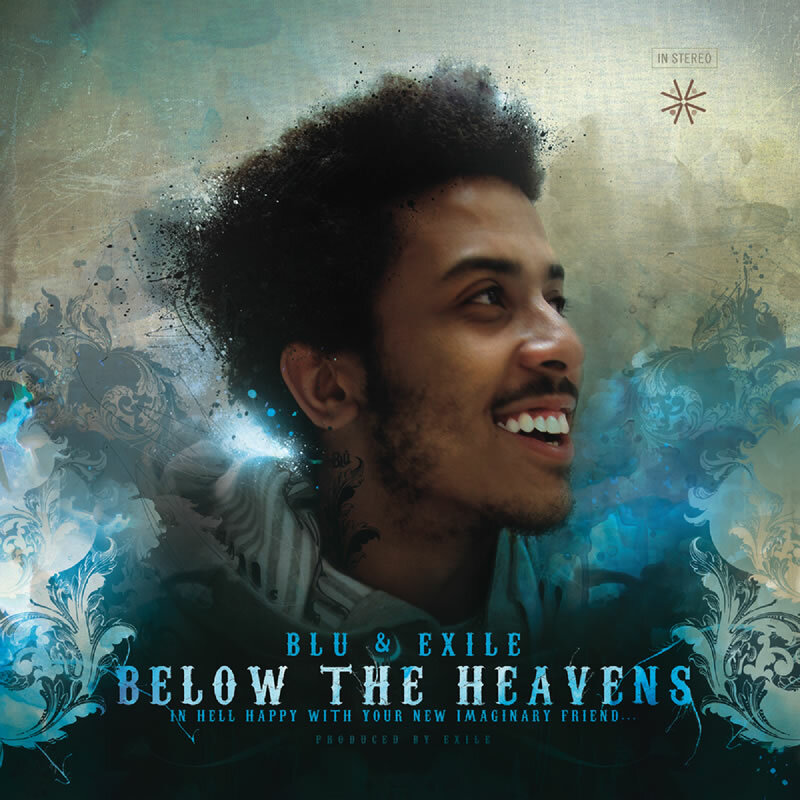 The multi-talented rapper and producer made early Internet waves back in 2007 with his collaborative Below the Heavens album with fellow LA native Exile, which serves as an intoxicatingly soulful, meticulously crafted project that remains among the best underground rap releases of the last decade. He carries each track with an undeniable wit and grace, as well as a sense of self-awareness not unlike current wunderkind Chance the Rapper. Just seeing him beaming on Heavens’ cover should be enough to show you that he had breakthrough potential. 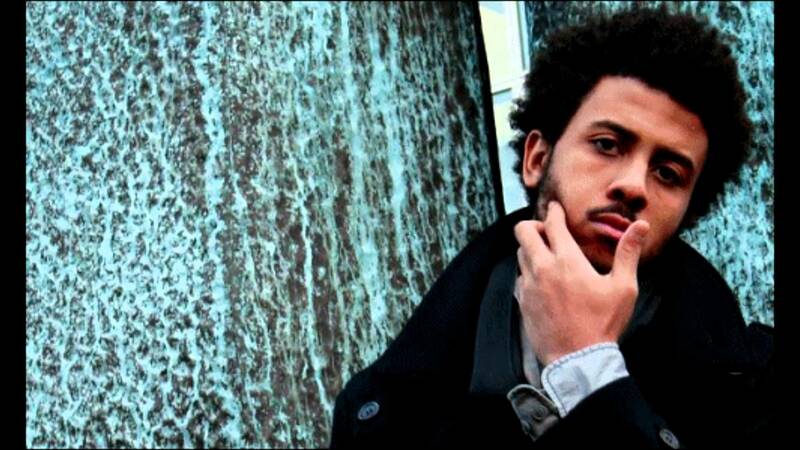 Instead, Blu remained independent, releasing some solid music but also a lot of bizarrely unmastered recordings, including UCLA, an album that he claimed was produced entirely by Madlib, which was denied by the producer and Stones Throw. He and Exile released their second collaborative project, Give Me My Flowers While I Can Smell Them in 2011 via Bandcamp, however it received little of its predecessor’s fanfare and curiously took nine months to get a physical release. It had a few soaring moments, like the theologically probing “A Man” and the shimmering, introspective “More Out of Life,” but failed to sustain the heights of Heavens. As Blu has immersed himself further in the L.A. underground scene, it seems unlikely he’ll ever make another record that’s as straightforward as his debut. Realistically, he’s long past his chance to ascend to the mainstream, but Blu is still churning out music in heavy volume. Whether it’s quantity for quality is up for debate, but there is no denying the man’s passion for making rap music. 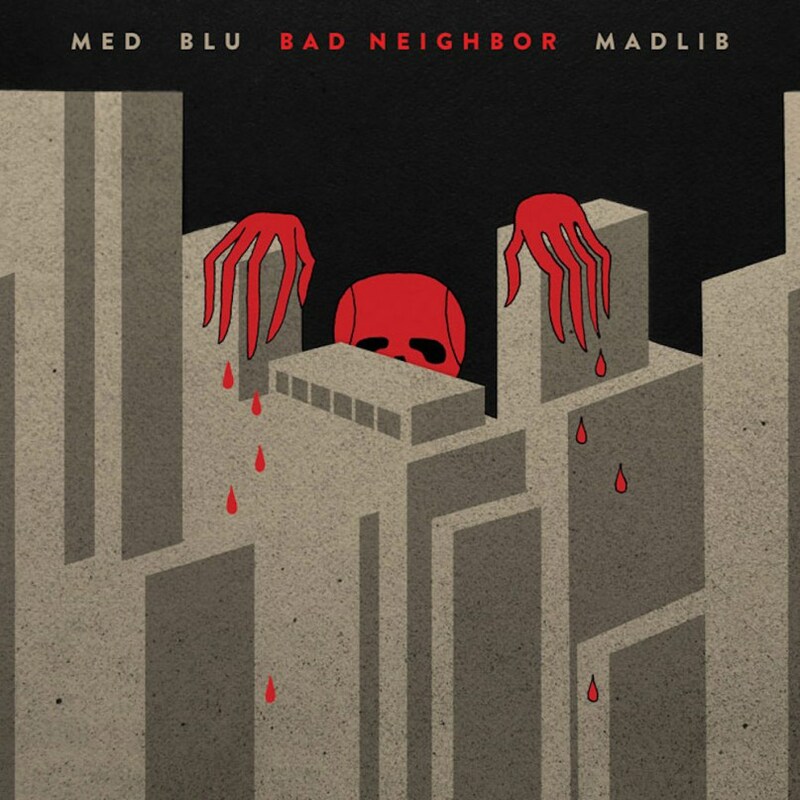 Bad Neighbor (released October 30, 2015), the new record that teams Blu and Madlib with Stones Throw MC M.E.D. is a lighthearted, often breezy affair that primarily wants to ensure that you have a good time. The trio teamed up previously for The Burgundy EP, an enjoyable release that highlighted both rappers’ lyrical prowess and subtle charisma over the left-of-center soul Madlib has made a very successful career crafting. The project is cheery, filled with crisp vintage break beats, warbled, off-kilter samples and quirky sounds that blur together in a purposefully frenzied swirl. It’s the quintessential L.A. underground style, and something that can still catch an under-prepared listener off-guard for a few tracks. M.E.D. is a more than capable MC, but it’s Blu whose superstar ceiling shows through on some of Bad Neighbor’s best moments. While he’s capable of sounding at home on crunchier, more minimalist instrumentals, the man also known as Godlee Barnes still excels when given a lush backdrop like the ones Exile cooked up nearly a decade ago. A lot of the album’s biggest successes are these grander, more colorful tracks. They force the two rappers to sell their deliveries and offer an intriguing change of pace from some of the more lackadaisical drawl that the two can occasionally get into. The chipmunk soul sample on “Drive In” provides a warm, nostalgic backdrop for Blu to use his intelligence and thoughtful delivery to paint a picture of a woman as only he can. The hook swells beautifully thanks to an Aloe Blacc guest appearance, and M.E.D. plays the grizzled rap Lothario role to perfection. Booming drums and vintage claps give “The Strip” a sense of urgency that’s unique on Bad Neighbor, which very much plays like a slow, sunny Saturday afternoon in L.A. otherwise. Anderson .Paak shows up to lend his hoarse rasp to the proceedings, and the two lead MCs sound as engaged here as anywhere. .Paak’s voice, while distinct, is incredibly malleable, and here sounds wonderfully out of time, like it could actually be the sample Madlib manipulated to make the beat. Little Brother’s Phonte handles hook duties on “Finer Things” and chips in a strong guest verse, while Madlib chops up the guitar line perfectly and adds some flare to the drum line with beatbox hits. There are good times to be had in other places in Bad Neighbors, but they just don’t feel quite as substantial. Odd Future’s Hodgy Beats pops in on the buzzy, ostentatious “Serving,” which sounds like Jeremiah Jae meets Neptunes-era Clipse. The old school grit of “Birds” is reminiscent of Blu’s underrated Johnson&Johnson project with Mainframe. “Birds,” like most of Bad Neighbor, doesn’t attempt to deal with any particularly lofty subject matter. Blu plays the old school, velvet jacket wearing smooth-talker role to perfection. He’s capable of blazing, top-shelf wordplay, but has also been in the game long enough to know when he doesn’t need to overplay his hand. Rock ice that don’t drip. Too nice, but don’t kiss. How you dip, slip right in my life? Pulled a hat on a rabbit, tryna catch it. The light switch turn on. The three MCs trade heady, humorous bars, with Doom stealing the show, delivering his verse in the form of a text message as he lets himself into M.E.D.’s home and makes off with a few beers and his Scandal DVDs. M.E.D.’s ensuing bars wrap up the saga perfectly. “Knock Knock” is perhaps the song that best describes Bad Neighbor as a project overall. It’s filled with interesting sounds and smart rapping, but there isn’t much more to be concerned with than a few missing beers and a DVD. You could fault the artists at hand for not using their significant skills to make a more conscious record, but mostly you’ll just be preoccupied wishing you were riding along with them rolling blunts and stealing things from M.E.D.’s house. Though it might not be the project some had envisioned Blu dropping after he fashioned himself into a forward-thinking soul rap star-in-the-making, it serves as a testament to his talents and the chemistry these three have that the album is as fun as it is. Grant also writes for The Line of Best Fit, All Things Go, and Sunset in the Rearview and is the true detective.